We are an all volunteer non-profit organization dedicated to helping the homeless and inspiring everyone to get more involved with volunteering. 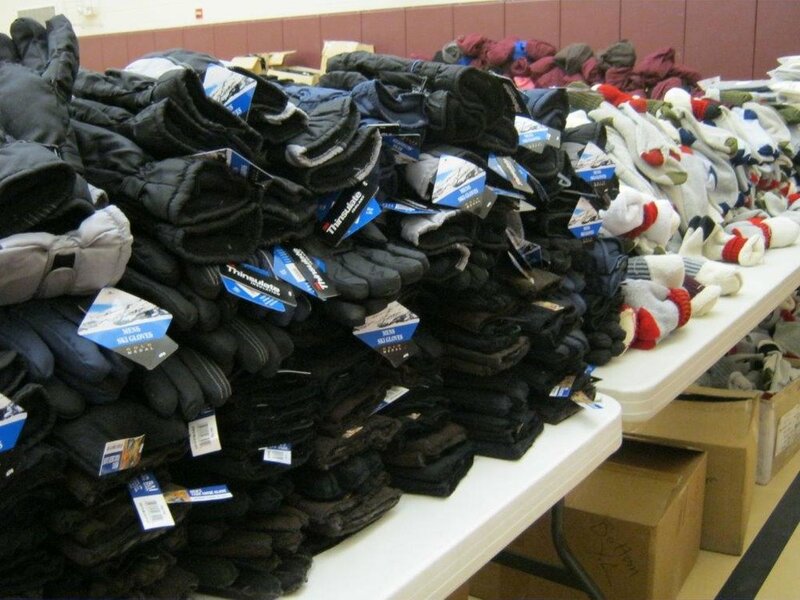 First To provide good quality warm clothes and other necessities to people in need in our communities and to do this in a responsible and respectful manner. 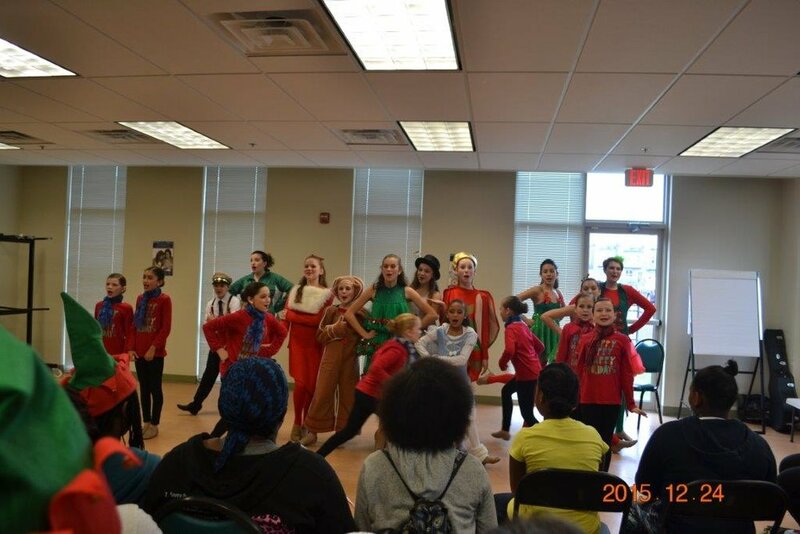 Second To create a volunteer environment for families and young adults that is enlightening inspirational and fun. Our hope is that all who come to volunteer with us will be inspired by our efforts and reach out and volunteer in other ways - and maybe, just maybe just one person will be like our founder, Linda Greenberg, and start an organization that will come to touch thousands of people each year. We at Giving Back, Linda's Legacy (GBLL) believe that the need in the world is so great that we can not reach everyone by doing just our part we must expand our reach exponentially so more and more lives can be touched. This organization is committed to making that happen in a most meaningful way. 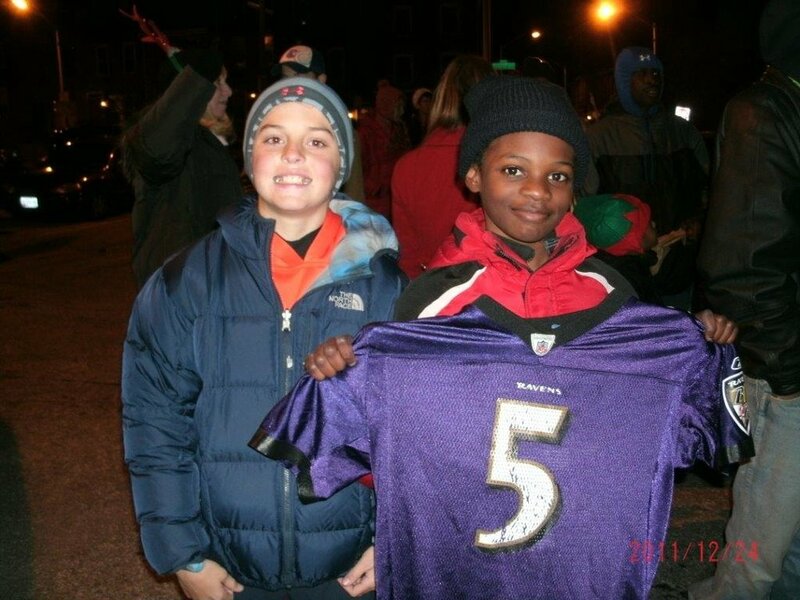 GBLL is an all volunteer, 501(C)3 non-profit based in Anne Arundel County, Maryland whose Christmas Drive to Help the Homeless delivers over 20 truck loads of clothing annually to homeless shelters in the Annapolis, Baltimore and Washington, DC on Christmas Eve. GBLL is dedicated to providing food, clothing, fellowship and programs aimed at encouraging self-respect and fostering self-empowerment. GBLL is a completely volunteer organization. 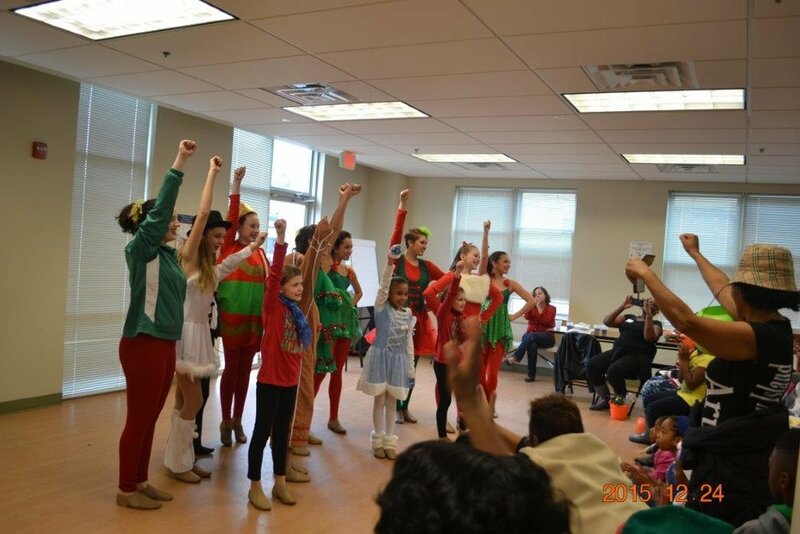 Our volunteers are comprised of individuals, families working together, corporate employee groups, and hundreds of children from local school groups... kindergarten to teenagers, their parents and grandparents. 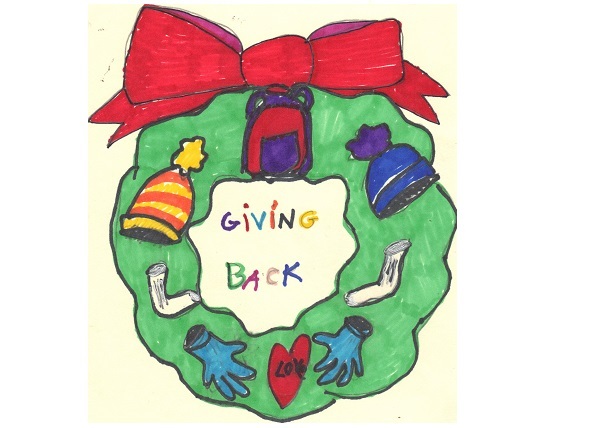 Whether it is stuffing backpacks, sorting clothes, driving trucks, or delivering our gifts to the homeless, each volunteer is an integral part of the experience of Giving Back. GBLL will be collecting coats, hats, gloves, new/gently used warm clothing all ages/both genders, sleeping bags, blankets, toys, travel size toiletries, new underwear and baby items such as diapers, baby seats, clothes and formula, and non-perishable food items at the following locations. Dates and locations are coming soon. For more details see our Events Page. A single act of kindness more than thirty years ago was the spark that started what has now become Giving Back – Linda's Legacy. Linda Greenberg, a resident of Anne Arundel County simply gave her hat to a homeless person who needed it a lot more than she did. Soon Linda was collecting all sorts of clothing from the community and distributing it to the homeless each Christmas, first from the trunk of her car and then from the trunks and vans of many friends. 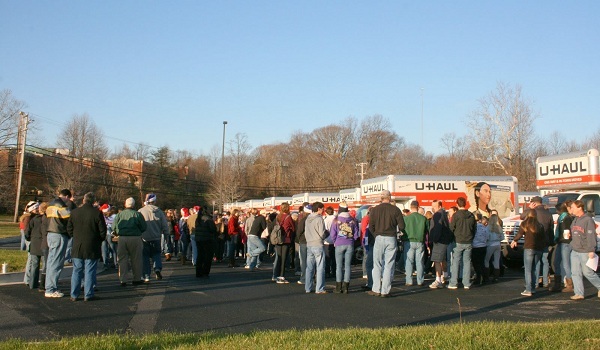 In 2003 the collection of clothes and other items was formalized and the Farmer's Market in Annapolis became the official collection site for the Holiday Drive to Help the Homeless. 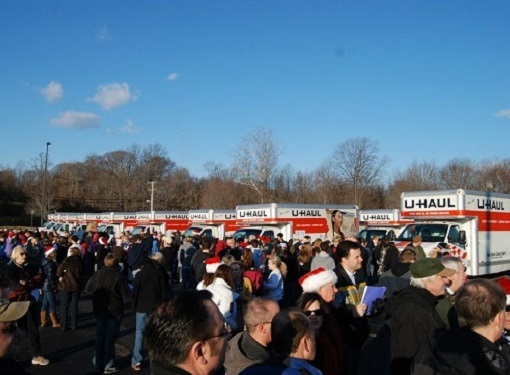 Here people from all over could drop off gently used clothing, toys and personal items that would then be sorted, packed in boxes, and loaded into trucks waiting to be delivered on Christmas Eve, and the donations poured in. The other major component of the Drive, and a key component of our Mission, is the involvement of school children is stuffing backpacks with winter clothing which they pay for themselves. 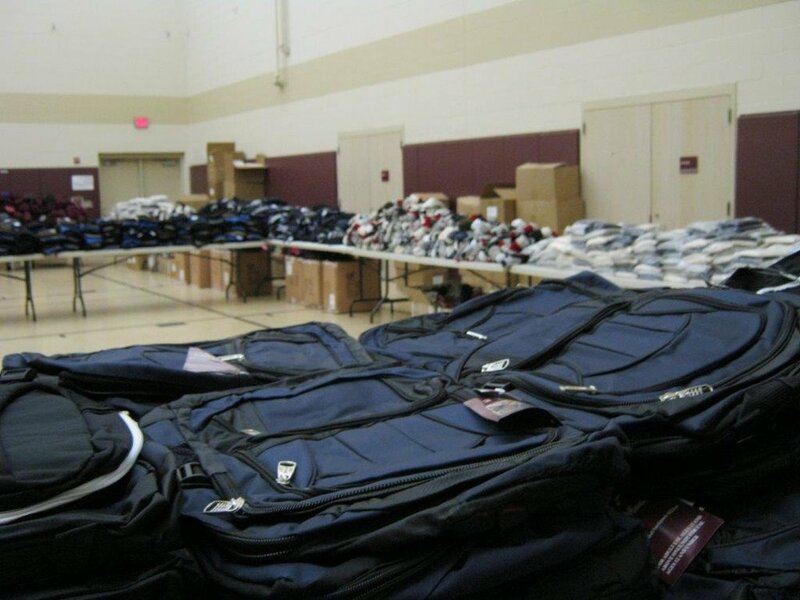 This past year GBLL delivered over 2500 of these backpacks as part of the more than 20 truck loads of clothing and other items which were delivered on Christmas Eve. 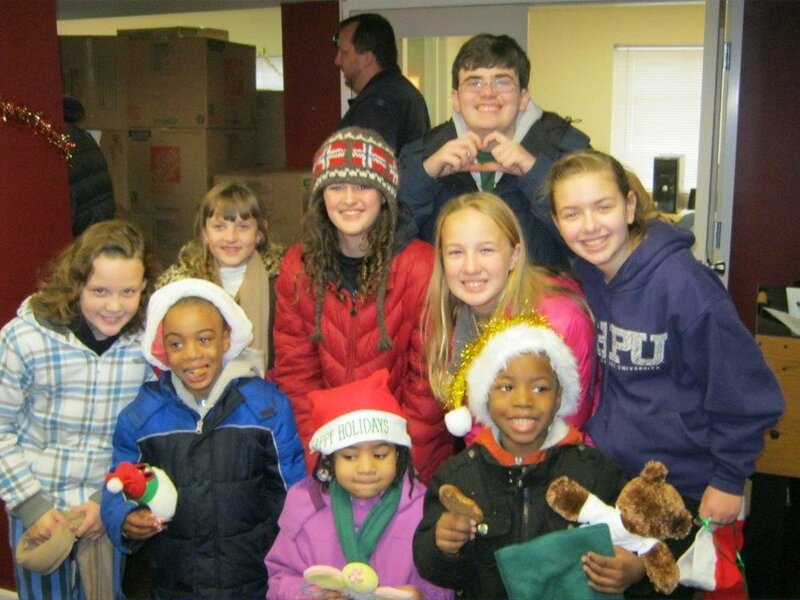 GBLL's 2015 drive involved over 500 volunteers delivering goods to more than two dozen shelters and on the streets, affecting the lives of thousands of men, women and children. In 2004, as the Drive was getting much too much for one person to handle, Steve Anstett stepped in to help Linda keep things growing and developing. Steve quickly became a major force in Giving Back and took the steps that allowed the organization and its reach to greatly expand. 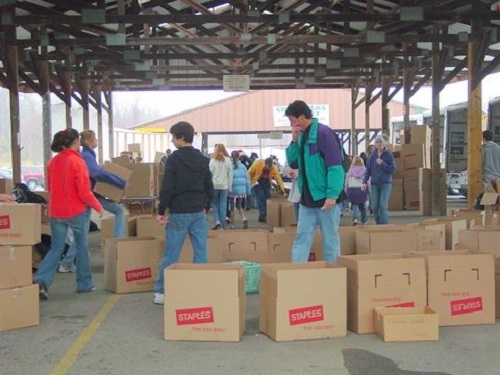 In particular he initiated the backpack program which has become a major component of the organization. In 2009 the organization, which was previously known as Giving Back and operating under an umbrella organization, formally incorporated and received its own 501 (c) 3 certification. To honor the tremendous work done by our founder, Linda Greenberg, the organization's name was changed to Giving Back – Linda's Legacy. In 2011 an Advisory Board was formed to get some of our more dedicated volunteers involved in the process. In 2015, Jeanette Middleton-Sudano assumed the role of Executive Director and is assisted by a four member Executive Board. Together they will continue the development of GBLL.